In all the cosmos there is only one planet known to harbor life. While Earth is special to us, there are countless similar worlds orbiting other stars. Since life arose early in Earth’s history, it seems likely that life could arise on other potentially habitable planets. But as we learn of both exoplanets and the history of life on Earth, we’ve found that things are a bit more complicated. 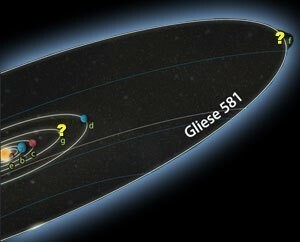 In astronomy, “potentially habitable” simply means that the orbit of an exoplanet places it in a particular range of distance from its star. Close enough that its water wouldn’t deep freeze into a perpetual solid, and far enough away that its water doesn’t boil away leaving a dry husk of a world. Earth, as you would expect, lies within the habitable zone of the Sun. But there are other things that make Earth so friendly to life. For one, our Sun is a stable main sequence star, so Earth has received a steady source of light and heat for billions of years. Earth also has a large moon, and the gravitational tug between the Earth and Moon creates tidal heating in Earth’s interior, producing volcanoes and other geologic activity that can bring rich material from the interior to Earth’s surface. In the outer solar system, the large moons of Jupiter experience similar tidal forces, warming their water to a liquid underneath their surface. Moons such as Europa might harbor life because of this tidal heating. It turns out that our solar system is a bit unusual. Stars such as are much less common than smaller red dwarf stars. Most of the planets we’ve discovered orbit close to a red dwarf star. The Trappist-1 system, for example, has a least 7 Earth-sized worlds orbiting its star far more closely than Mercury orbits the Sun. Although Trappist-1 is about 90 times more massive than Jupiter, they are about the same size, and the planets orbit at a similar distance as the moons that orbit Jupiter. Since the orbits of these planets are not exactly circular, they experience tidal forces like the Jovian moons. So they could be geologically active in a life-friendly way. Young red dwarfs can be rather hostile to life. They can produce large solar flares that can fry the atmosphere of a close planet, leaving them dry and arid. 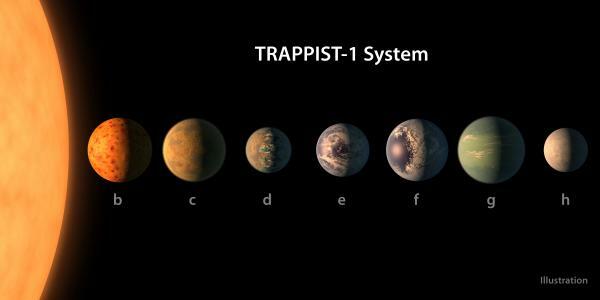 But Trappist-1 is an older, stable star, so its planets would have a steady stream of heat and light. 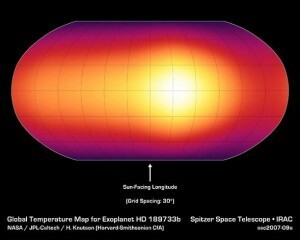 In a recent paper, a team looked at the conditions for the Trappist planets, taking into account both the amount of heat they receive from their star, and the amount of tidal heating they generate. They found that planets d and e seem the most friendly for life, with moderate stellar heating and moderate tidal heating. They should be warm enough for liquid water, but cool enough to prevent a runaway greenhouse. Of course the big question is whether these planets have ample water on their surface. That would depend critically on just how massive they are. While we have a good idea of their size, we aren’t as certain about their masses. So we’ll need more data to determine if life could survive on these nearby worlds. I’m wondering though – even though those planets are orbiting an older red dwarf star now – it’s was a young red dwarf once. Do we have any idea if it is possible that planets been bombarded by ‘solar flares’ (leaving them dry and arid by your words) can become wet and livable again after the youngster has grown old enough to behave? That is the big question. Can close planets hold on to water long enough to be habitable. Hi Tino, I’ve thought about this myself. I guess it comes down to how the water got to the planet’s surface. It had long been thought that Earth derived its water from comets. Observations of the levels of deuterium in cometary water, however, seem to rule this out. Certain types of asteroid are now high on the list of how the water got here. However, some scientists think it may always have been here. A large amount has been found deep in the upper mantle. If this can be released to the surface through volcanism, then that may be a way for the Trappist planets to retain water after all the nasty flaring is over. In the discussion of whether a planet is habitable or not, seems to me we often forget that we really don’t know very well the limits of what is or is not habitable. On Earth we have thermophiles that thrive in volcanic conditions. There are plenty of thermophiles to observe at Yellowstone. At the other extreme, there are bacteria and other forms of life dormant in glaciers and permafrost. That’s what we know of, it’s reasonable to presume those aren’t the limits. Won’t surprise me at all if we find life elsewhere in this solar system. On a red dwarf star system, there might well be a few hundred billion or even a trillion years for life to evolve. In that much time, we probably cannot imagine what could happen. I agree with jpatrick. Looking for planets similar to earth, our sample of one, is if coourse a fantastic start. But we shouldn’t just limit our research to that; there could be many forms of different life that has evolved to meet difficult conditions on a seemingly lifeless planet. Hi jpatrick & Lizzie – I believe that is what happening. You are right that we don’t know the exact limits of environments capable of hosting life but we are not completely clueless either. For example, you mentioned bacteria surviving in volcanic conditions or in permafrost. But the fact that there aren’t any more complex life forms emerging in those conditions – even though evolution has done so just anywhere else – gives us a good hint about the thresholds. There are efforts been done to research possible life on other worlds. Curiosity definitely had a look on the possibility of existing or previous life on Mars and we have send other probes there to see if the chemical composition of Mars atmosphere gives something away. It comes all down to a budget though. NASA and other organisations have only so much funds available and they put their hopes in the most likeliest baskets. For example, no scientist would rule out that there could be some sort of life form on one of Neptune’s moons or in the atmosphere of Venus – it is just very very unlikely and it’s very expensive to have ‘a proper look’. So we go and look at Mars, and maybe at Europa, Titan or Enceladus in the mid-term future because our chances are so much higher to find something. I don’t think many scientists rule out anything at this stage. I believe they are rather full of hope that something will show up one day, and the stranger the more exciting it would be.